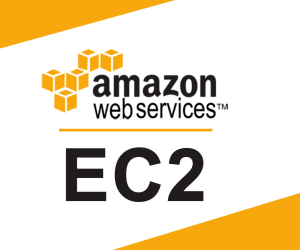 EC2 Deployment, RDS Deployment, Migration, Monitoring, Support, Optimization, & Resolution. Analytical deployment of state-of-the-art architecture, and hybrid technology. Automated scaling with 100% uptime, Load balancing, High availability to decrease downtime and synchronize chain management. AWS security optimization at its best with secure access and governance models of your environment to fish out suspicious activity. Scalable solutions for your business with cost optimization and higher Return on Investment(ROI). Complete automated deployment with minimal manual configuration. Redundant & cost-effective technology for enterprises in case of Disaster Recovery. Management by a dedicated team of AWS certified systems engineers with enterprise support. Hassle-free migration from various platforms and execution of your apps on AWS with zero downtime. Please let us know your AWS setup requirements and how we can help you. Dedicated management to optimize your AWS infrastructure environment. We understand the technological landscape to make smart businesses smarter and efficient, leveraging the entire capability of AWS requires expertise and skills sets, with years of industry experience in the field of infrastructure technology. Our AWS solutions deliver quick deployment, automation and maintenance of your system. Many organizations seek professional services and experts to deploy their AWS cloud system, so that they can focus on their critical business avenues. 24x7servermanagment, with its unique offerings provides scalability, flexibility and powerful solutions for this global leading cloud platform. We give you the choice to select our tailored AWS service packages depending on your server needs or we could easily create a bespoke solution for you. Our expertise take care of all your day-to-day operations with enterprise level service and management for performance, database tune ups, speedy deployment, migration, configuration services, security and more than that. Our perfect blend of human intelligence and smart automation delivers state-of-the-art AWS Web Services with 24x7x365 days support.